For the 25th consecutive year, Lycoming College will welcome nearly 1,800 students, volunteers and guests as it hosts the 37th annual Pennsylvania Free Enterprise Week (PFEW). Lycoming will host four sessions of PFEW from July 5-Aug. 8 with a fifth mirror session taking place at Pennsylvania College of Technology during the week of August 2-8. Rising high school juniors and seniors from across Pennsylvania travel to the program, which educates students about the American free enterprise system by bringing them together with business executives from throughout the state. During the series of week-long events, student teams simulate the operation of their own company. This unique concept in learning has enhanced the lives of nearly 36,000 young adults for thirty-six years. Lycoming and PFEW both benefit from the partnership, as the students also gain first-hand experience living on a college campus. 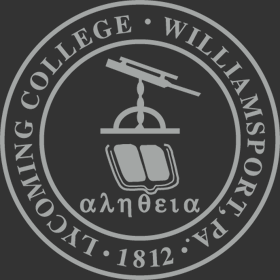 This year, Lycoming College President Kent C. Trachte will be the keystone speaker for the first week of the program. His speech, “Lessons on Leadership,” includes insights from a few of the leaders whom he admires, the scholarship on leadership and his own experience as a leader in higher education. “My hope is that by sharing lessons that have influenced my own approach to leadership, I will encourage the students to reflect more actively on what they learn about leadership from participating in PFEW,” Trachte said. Other weekly keynote speakers include: Jennifer Delaye, chief executive officer, JDK Group; Tara Hemmer, vice president, Waste Management; Christine Toretti, former chairman and chief executive officer, S.W. Jack Drilling Co.; and John Shegda, president, M&S Centerless Grinding.